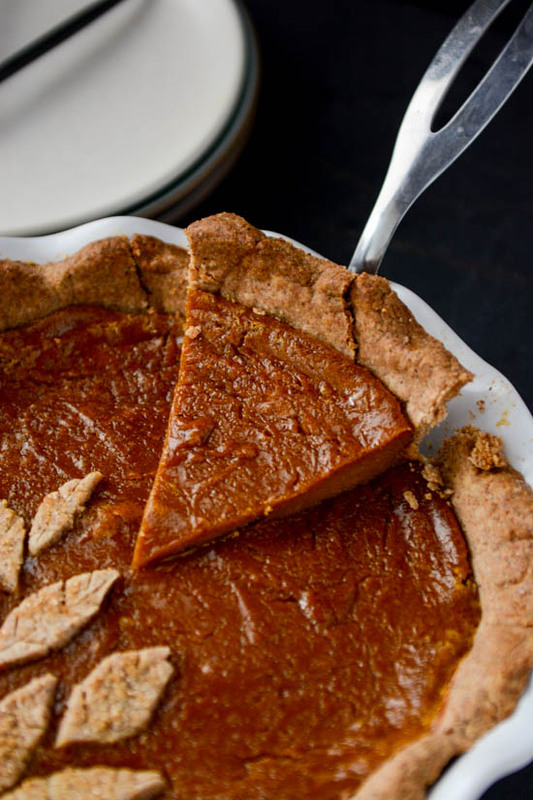 I love pumpkin pie. The last few years I’ve had to rely on the kindness of friends to donate a lone slice from their holiday table. I am the only one in my family that likes pumpkin pie. I know, isn’t that the saddest thing you’ve ever heard? I’ve avoided making pumpkin pie because I was terrified that I would eat the entire thing by myself but you know what? I am okay with that, especially after I made this most delicious vegan version. 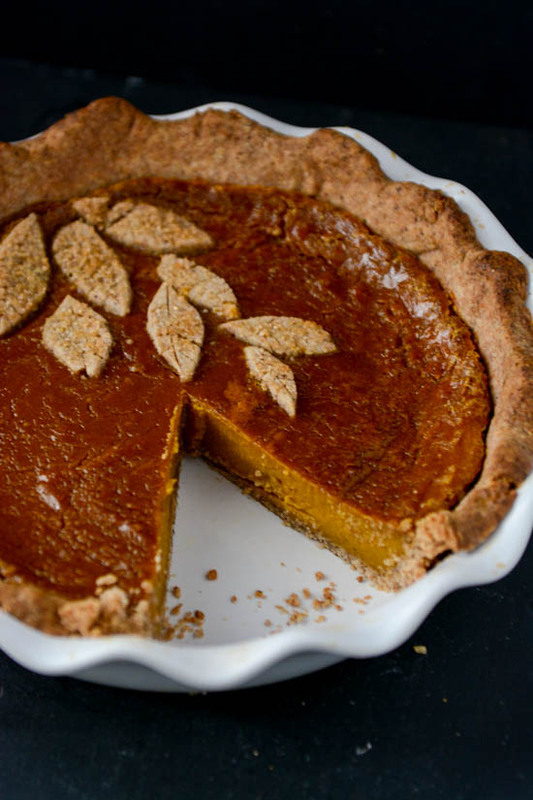 I replaced the traditional butter in the crust with coconut oil and I subbed hazelnut meal for some of the flour which gives the crust a delightful nutty flavor that really complements the warm spices of the pumpkin. 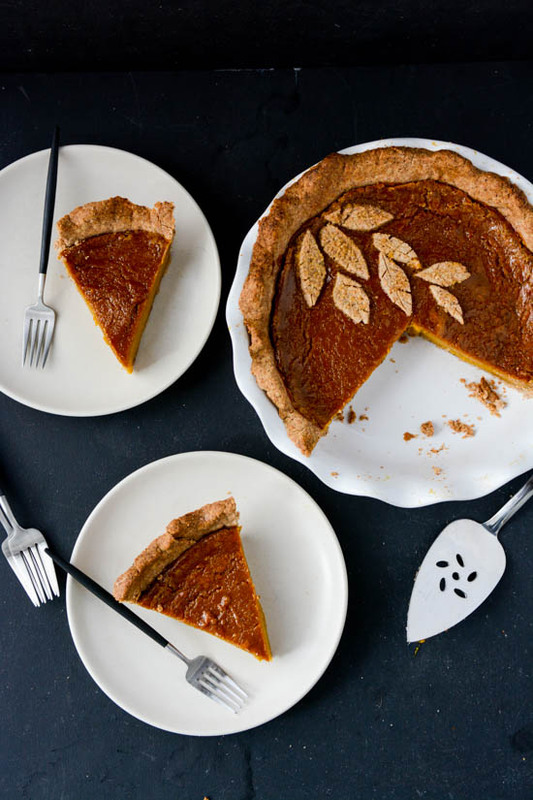 The filling couldn’t be easier to put together, just 5 simple ingredients and a few spices and you’ve got the best pumpkin pie ever. I didn’t miss the heavy cream or eggs at all, it’s rich, creamy and set up wonderfully. Soaking the cashews beforehand insures that you’ll get a smooth and creamy filling so make sure to soak them for at least an hour. I used my Vitamix to puree the mixture and I found it worked much better than my food processor. 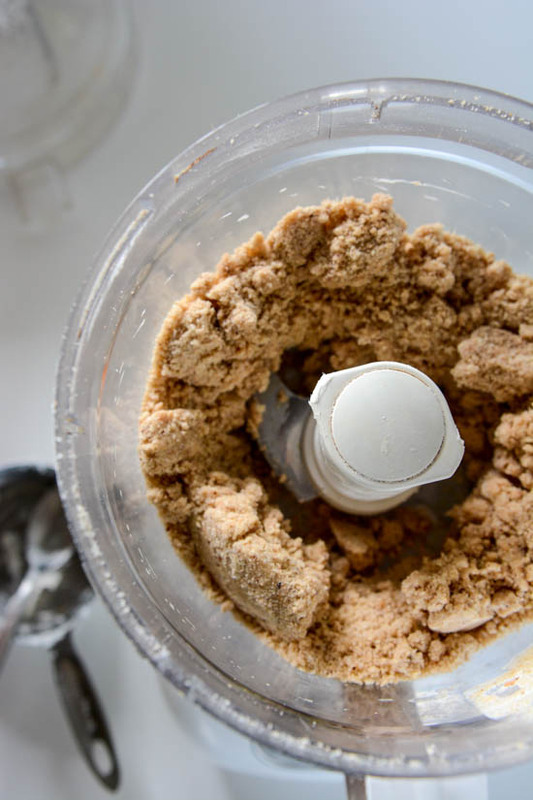 If a food processor is your only option let it run for a few minutes and scrape the bowl a few times to get it as smooth as possible. I don’t think this will make it to our Thanksgiving table, I can’t stop sneaking little slices of it. Serve this to your guests this Thanksgiving and they won’t even notice that it’s Vegan. As a matter of fact, I wouldn’t even mention it. Have a wonderful holiday, may it be filled with good food, good friends and great memories. 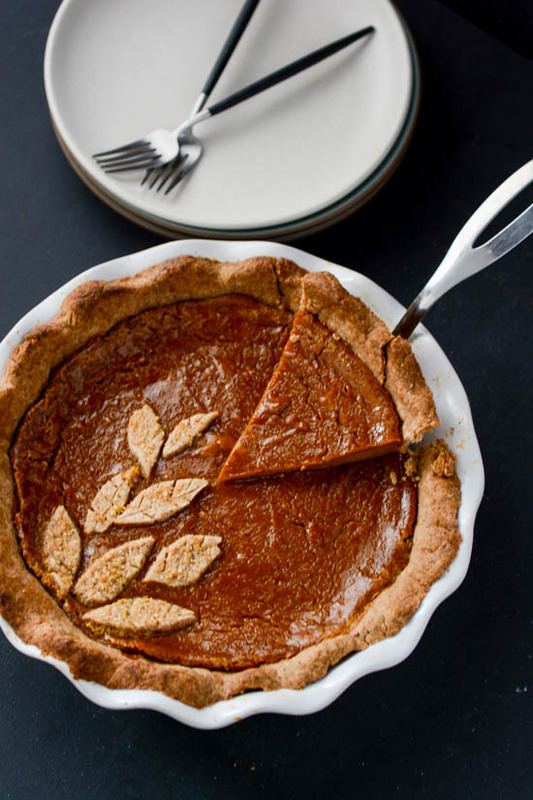 This vegan pumpkin pie has a hazelnut crust and a super simple cashew based filling couldn't be easier to throw together. 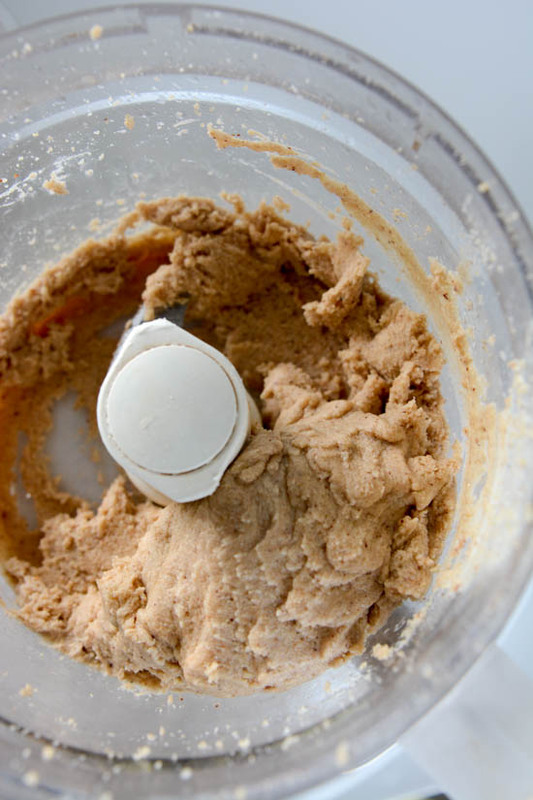 In the bowl of a food processor place the flour, hazelnut meal, salt and sugar and pulse to combine. Add the coconut oil a tablespoon or two at a time until the mixture is crumbly and will hold together if you squeeze it between your fingers. Add the water a tablespoon at a time until it starts to come together into a ball. Flatten the dough into a flat disc and refrigerate for 15 minutes. 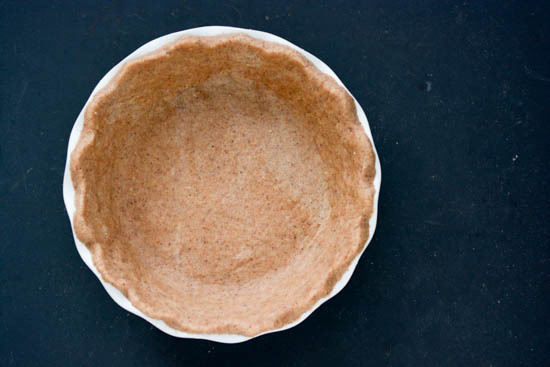 Turn the dough out onto a clean, dry surface that is lightly dusted with flour. 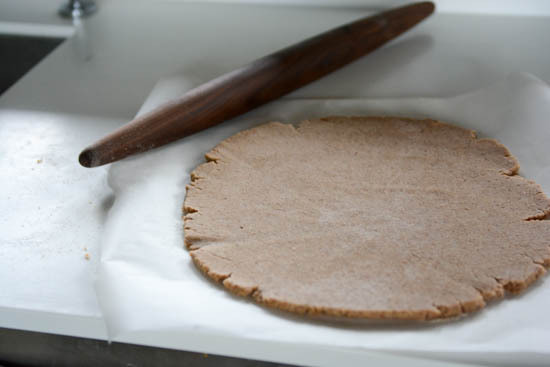 Use a rolling pin to roll the dough into a circle large enough to cover your pie tin with a bit of overhang. Carefully lay the dough into your pie tin. Roll the edges under and crimp the edges into a scalloped pattern. Refrigerate the crust for 15 minutes. Line the pie tin with foil and fill the bottom with pie weights or a few cups of uncooked beans. Bake the crust for 20 minutes and then let cool completely while you prepare the filling. 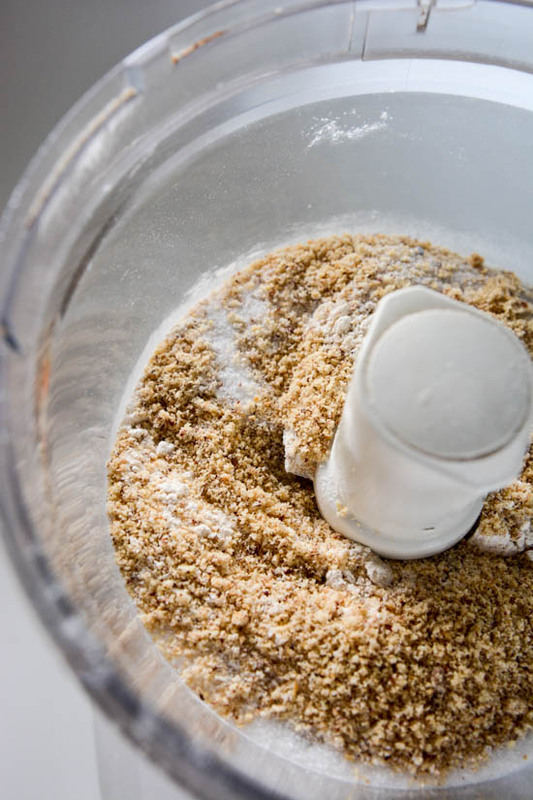 For the filling, blend all the ingredients in a high speed blender or food processor until smooth. 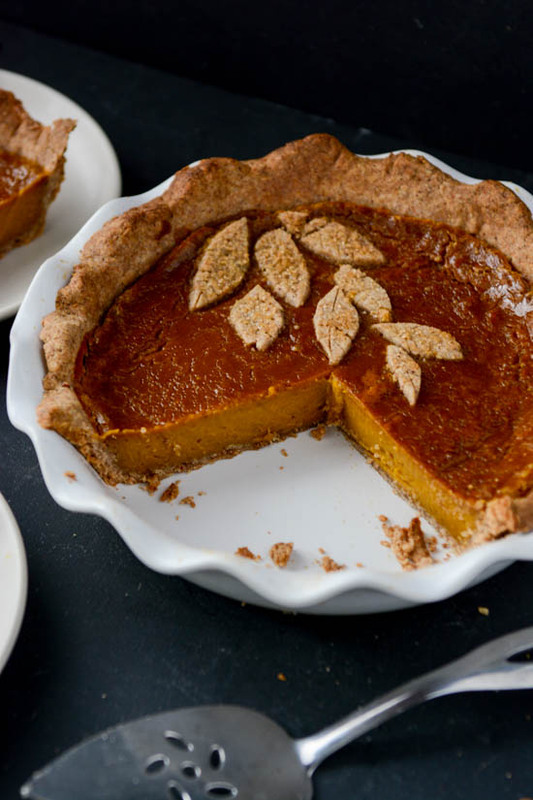 Pour the filling into the prepared pie crust and lightly smooth the top. Bake until the crust is golden and the filling is almost set about 40 minutes. Let cool to room temperature and then refrigerate until ready to serve. It tastes better after being refrigerated for a while so try to let it spend some time chilling before you serve it!